For as long as I live, that man whose party lost the Chilanga Seat will not be allowed to enter State House, Republican President Edgar Lungu has vowed. Speaking in Ndola last week before he left for Western Province, President Lungu told PF members that HH will never be given chance to rule as he was undemocratic in the way he was imposing himself as UPND President. “This is a man who has never called for convention. He is very undemocratic and violent. But i want to make it clear here that I know that I am not God to decide. But as long as I live, i will never allow him (HH) to enter State House because he has some dictatorial tendencies which we fear will destroy our democracy. Even 2021 takaimone”, said President Lungu. The rest, as they say is history! So Lungu realizes he’s not God, but still makes stupid, baseless statements? 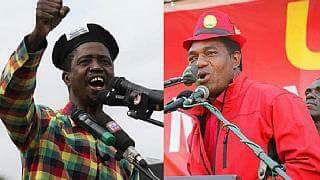 The UPND convention is not his business, even if he doesn’t agree. WTF? Speaking one’s mind is a right. It is also possible that this statement may be true. Mwanawasa’s statement came to pass.